Sohrabvandi, S., Mortazavian, A., Dolatkhahnejad, M., Monfared, A. (2012). Suitability of MRS-bile agar for the selective enumeration of mixed probiotic bacteria in presence of mesophilic lactic acid cultures and yoghurt bacteria. Iranian Journal of Biotechnology, 10(1), 16-21. Sarah Sohrabvandi; Amir-Mohammad Mortazavian; Mohammad-Reza Dolatkhahnejad; Ayad Bahadori Monfared. "Suitability of MRS-bile agar for the selective enumeration of mixed probiotic bacteria in presence of mesophilic lactic acid cultures and yoghurt bacteria". 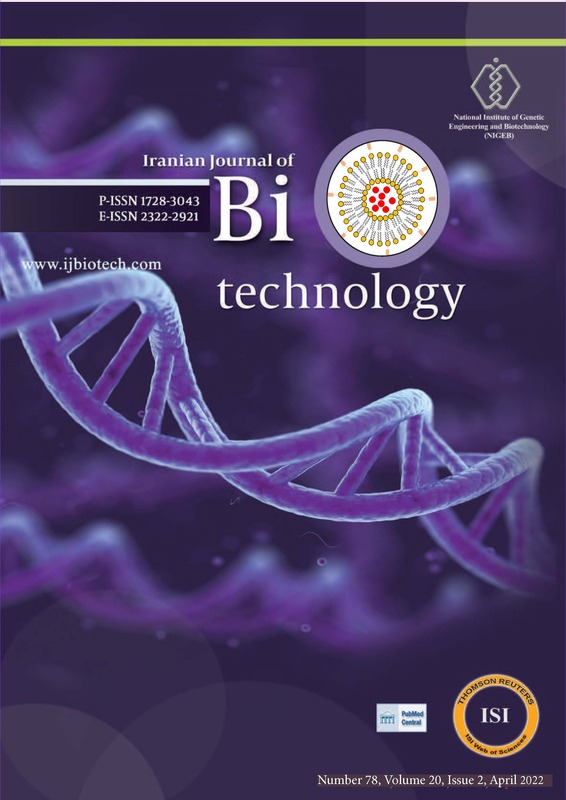 Iranian Journal of Biotechnology, 10, 1, 2012, 16-21. Sohrabvandi, S., Mortazavian, A., Dolatkhahnejad, M., Monfared, A. (2012). 'Suitability of MRS-bile agar for the selective enumeration of mixed probiotic bacteria in presence of mesophilic lactic acid cultures and yoghurt bacteria', Iranian Journal of Biotechnology, 10(1), pp. 16-21. Sohrabvandi, S., Mortazavian, A., Dolatkhahnejad, M., Monfared, A. Suitability of MRS-bile agar for the selective enumeration of mixed probiotic bacteria in presence of mesophilic lactic acid cultures and yoghurt bacteria. Iranian Journal of Biotechnology, 2012; 10(1): 16-21. 1National Nutrition and Food Technology Research Institute, Faculty of Nutrition Sciences and Food Technology, Shahid Beheshti University of Medical Sciences, P.O. Box 19395-4741, Tehran, I.R. Iran. 3Department of Epidemiology, Faculty of Health, Shahid Beheshti University of Medical Sciences, P.O. Box 19395-4741, Tehran, I.R. Iran. and Lactococcus lactis ssp. cremoris) and yoghurt bacteria (Streptococcus thermophilus and Lactobacillus delbrueckii ssp. bulgaricus) was investigated. Yoghurt bacteria did not grow neither in presence of 0.15% nor 0.30% of bile salts, as was expected. Mesophilic lactic starters could grow at both concentrations of bile salts at all incubation temperatures except 37°C. According to these results, MRS-bile agar (0.15 bile salts) could be successfully used for selective enumeration of mixed probiotic cultures in presence of mesophilic culture and/or yoghurt bacteria when plates were incubated at 37°C for 72 h.